1. This paper draws largely upon written evidence to the House of Commons Defence Committee, ‘The Tipping Point’ a paper by Bernard Jenkin MP and George Grant, a DS Future UK Strategy paper sent to the Chair of the Public Administration Select Committee in July 2011 and the National Security Strategy (NSS). 2. Based on the evidence DS has concluded that UK Grand Strategy has not been articulated in any meaningful sense by Her Majesty’s Government (HMG) and that, as a consequence, what we describe as UK’s ‘Capability Interests’, are being neglected in current UK security and defence planning. We contend that these interests arise out of a series of values that we believe to be non-negotiable but that must be articulated to inform the process of formulating Grand Strategy. Not least among these values is a fundamental belief in democracy and government accountability that allow freedom of speech for individuals under the rule of just laws. Conversely, opposing through diplomacy, aid and armed force dictatorial rule that threatens freedom of speech; the right to self determination or the implementation of policies that persecute and exploit the weak or lead to lawless activities in the air, on land and at sea. 3. These values in turn drive the need for a vibrant diplomatic service capable of promoting them within international institutions using Soft, Flexible and Hard power. The latter aiming to provide a stable global market place that can guarantee continuity of imports, exports and information defended by balanced conventional and nuclear deterrent forces capable of independent action. All the above being maintained in a stable world order as defined under international law which guarantees that sovereignty will be respected and if necessary protected militarily under the principle of self defence or through aid to weaker societies or nations. 4. Therefore, DS contends that these ‘Capability Interests’ are enabled by a combination of political, commercial, diplomatic and military means all of which are interlinked domestically and internationally. A stable global diplomatic environment is enhanced by British core values which are much admired internationally. In turn these shared values create the conditions essential for manufacturing and world trade to flourish and for UK to prosper. Hence DS contends that it is no giant leap to deduce that protection of these vital interests must form the core of UK strategic thinking. As history has consistently demonstrated, the UK’s primary ‘Capability Interest’ has been maritime not continental: the principle vulnerability of the British Isles, whether threatened by Napoleon, The Kaiser, Hitler or a modern day equivalent, being resource starvation. Whilst direct invasion of the UK mainland may now seem a distant threat it is still an issue for overseas territories and in the recent past it was relative maritime strength that provided the essential enabler for UK to act in accordance with her innate values and re-establish democracy and the rule of international law in the Falklands, Sierra Leone et al. .
5. In ‘The Tipping Point’ a paper written by Bernard Jenkin MP and George Grant – released through the Henry Jackson Society in July 2011 – a central question was posed: “What is UK Grand Strategy?”. In engaging the issue a series of questions and possible answers were postulated as to how grand strategy, or the lack of it, impacted the UK’s long and short term security interests. 6. It is DS’s view that Jenkin/Grant rightly postulated, despite the government’s explicit statement in the National Security Strategy (NSS) that UK would continue its traditional full world wide role, that the necessary support infrastructure prerequisites – financial, diplomatic and force – were not in-place. Indeed, Jenkin/Grant went further in assessing that the NSS was not of itself a ‘Grand Strategy’ at all but one of a number of government inspired documents that misrepresented themselves, however innocently, as strategy: a level to which they aspire but fall short. 7. The Jenkin/Grant paper goes on to discuss the need for balanced and well financed diplomatic and armed services to ensure the security of future world wide UK interests. DS agrees with this premise but would go further than the scope of the paper by defining these interests and detailing the capabilities that form UK’s strategic ‘Vital Capability Interests’. Hence DS recognises that the aims and vital interests that inform UK Grand Strategy have not thus far been articulated coherently and cogently by Her Majesty’s Government (HMG) and we, therefore, offer our own assessment as a template. 8. To this end the strategic requirements used in this paper are based on the ‘DefenceSynergia Future UK Strategy’ paper sent to the Chair of the Public Administration Select Committee (PASC) in early July 2011, the NSS and definitions – Vital and Secondary Interests – as presented by ‘Morganthau’ to the US Army War College 4 decades ago. However, these vital and secondary interests do not arise in isolation but out of a series of values that we believe to be non-negotiable. 9. History and Culture No two nations are completely alike. How a nation appears to the rest of the world today results from generations of its history and cultural development, as influenced by such varied aspects as natural resources, industry, trade, wealth, politics and involvement in world affairs. Alliances are built around common interests (but not necessarily common cultures) and a desire to promote and defend these interests for the common good. But interests – national or personal – cannot be articulated unless there is an underpinning set of adjectival building blocks that describe their inherent characteristics. For this we need to dig into the nation’s character, into the warp and weft of society as built and passed down the generations and see what makes us all ‘tick’. What it all boils down to is simple: our values. 10. Whether these values are accepted by other people and other nations is of course open to question, but that is not the point. Values will (must) inherently be evident and widely understood without their needing to be explained in a detailed taxonomy. In the West we did not need to accept communism to understand that it was overwhelmingly not a framework of values in which we would choose to live; its very existence offended our values of democracy, freedom of speech, fairness and accountability for all under just law. Democratic and communist nations and alliances inherently understood the other’s position whilst mutually, inherently, disagreeing with the other’s values. Strategies emerged on both sides to manage, defend and promote these different value-sets in such forms as NATO and the Warsaw Pact alliance. 11. Our Values Is it, therefore, not obvious that in UK the overwhelming majority of the population ascribe to and support a fundamental belief in democracy and elected government accountability that allow freedom of speech for individuals and the media under the rule of just laws? Would many disagree that, by definition, this includes equality for all under the rule of law – allowing international free movement of people and trade and support for the wishes of others who strive to achieve or who already uphold these values? Not only are these values understood within UK, they are understood by people on the Cairo, Mumbai, Moscow and Beijing omnibuses; and those on the Cairo omnibus might very likely be interested to learn how they can achieve in a nascent democracy the values that we take for granted in ours. 12. Defending These Values It therefore follows that these values are defended by using diplomacy, aid and armed force to deter dictatorial rule that threatens freedom of speech; the right to self determination or free trade through the implementation of policy or laws that persecute and exploit the weak or lead to threats or lawless activities in the air, on land and at sea. 13. The capability mix required to defend established values To achieve, promote and defend these values the UK must be capable of maintaining global reach using soft, flexible or hard power through a strong and visible diplomatic corps that is supported by cohesive, capable and credible armed forces all working to a clear UK Plc strategy. Correctly structured these instruments would in turn lay the foundation for the UK to undertake diplomatic and military action alone or with allies in pursuit of core values. These activities may include military assistance or aid – internationally or domestically – to ensure the rule of law, relieve suffering, to support diplomacy, trade and international regulation via treaty organisations such as NATO, EU, UN, IMO etc – extolling these values within international institutions and communicating them world wide through a free press and other media outlets. a. A strong vibrant diplomatic service capable of influence and able to promote our values and interests internationally using soft, flexible and hard power. b. Coherent supportive government departments striving for agreed British values that are communicated, understood and supported by the majority of the UK electorate. c. A stable global market place based on internationally agreed open trade that can guarantee the security of supply of raw materials, food, energy, technology and information. d. Secure and defensible borders and trade routes maintained through alliances backed up by well balanced conventional and nuclear deterrent forces capable of independent action. e. The maintenance of a stable world order as defined by international treaty and law which guarantees that established sovereign borders will be respected and, if necessary, protected militarily under the principle of self defence. 15. UK’s Traditional Respected Position in World Affairs. The UK is a respected key international player and must continue to engage at every level of international diplomacy – UN, NATO, EU et al through a strengthened diplomatic service. The UK’s influence – which is much admired – has been earned over centuries and must not be allowed to wane. Whilst this may be a source of chagrin to some and there may be a few nations with similar economic clout, it must be remembered that outside the USA, only the UK and France are long established stable industrialised democracies with permanent status on the Security Council of the UN. Like it or not Russia and China still have some way to go before establishing international trust. 16. UK’s Voice in World Affairs. The UK’s close relationship with the USA must continue to provide a balancing voice in major international affairs; to provide an interface with the EU and Commonwealth (27 EU & 54 Commonwealth countries representing one third of the world’s population) and to counterbalance any future transfer of power from West to East. Therefore, to be credible this implies that the UK’s independent nuclear deterrent must be retained alongside strong conventional forces that are supplied by a vibrant and robust R&D intensive industrial base supported over well protected lines of communication. As a long term special partner of the US in the fields of intelligence and defence cooperation the UK must ensure that its own capabilities are able to both integrate and reciprocate on a military and civil level or the relationship may falter. 17. The Diplomatic Services UK Requires. The UK must reinforce its world wide diplomatic presence through its embassies, diplomatic corps, military and commercial attaches. A key role, here, will be to argue for international law to be revised in respect of definitions of combatants, rules of engagement and jurisdiction in respect of terrorism, piracy and Cyber crime and warfare. We must demonstrate the need for robust international rules covering prosecution and detention of non-state actors in order to deny them safe havens or protection by proxy-nations. With the threat to ‘cyberspace’ security increasing exponentially it will be essential to define the legal nature of such threats or attacks especially in relation to the current law of armed conflict and the status of nations and individuals who sponsor or carry out ‘cyber-attacks’. As the UK has signed up to the jurisdiction of the International Criminal Court (ICC) and UN Charter, the legal position of the government concerning regime change may be ambiguous. As enforcement of core national values may clash with the concept of regime change (eg Iraq and Libya) the legal position requires clarity. 18. UK’s Vibrant Domestic and International Industrial Status. For the UK to prosper she must nurture and protect a strong and vibrant domestic high-technology industrial base capable of exporting and importing world wide without interference. These industries and the general public at large rely upon imports of food, raw materials, oils, gas and minerals all of which are vulnerable to interruption of supply as the UK is not self sustaining and does not have more than a few weeks storage on average. As populations grow and climate change takes effect the severity of these issues and the problems they engender can only worsen – water and food riots, disputes over exploration rights, border incursions, piracy, human trafficking, gun running and terrorism are already on the increase. State sponsored aggression against resource rich neighbours cannot be ruled out. 19. How are UK’s ‘Vital and Secondary Interests’ to be Enforced? As the criteria points to a ‘World Wide’ UK ‘Grand Strategy’ that maintains a traditional world leadership role for the UK, a ‘maritime’ not ‘continental’ (military) strategy is best suited to defend our ‘Interests’. [This view (albeit it USA focussed) is independently articulated by Robert Kaplan (a member of the US Defense Policy Board & senior fellow at the Center for a New American Security) in his recent paper entitled ”The South China Sea Is the Future of Conflict’.] Which must drive the need for the current mix of forces to be strategically rebalanced as future operations will most likely be maritime-centric and, other than for defence of Overseas Territories (OT’s), as part of an alliance that is more than likely, US led. 20. The importance of this emphasis on alliances is that the military effort [and influence] provided and accrued by nations is reflected in the capabilities they are able contribute. In this respect – with the notable exception of the USA which has ‘full-spectrum-capability – NATO and EU partners have a collective abundance of infantry, armour and combat air but a paucity of intelligence, reconnaissance, air refuelling, strategic air and maritime lift, submarine and carrier air capability. Therefore, in multi-national-allied-operations the UK’s willingness to contribute a disproportionately high level of ground and air forces is a consequence of the available resources linked to a natural desire to show commitment – not necessarily to meet operational need. Hence the forces of the USA (most particularly maritime) are all too often used as the default setting while NATO and coalition allies ‘fill-in’ for political rather than sound military reasons. 21. Whilst this drive to show commitment in international operations may be laudable at the diplomatic and political level it can artificially distort expectations not least in respect of the UK’s national ‘Interests’. The latter, driven by economic factors, skewing strategic policy thinking, as in the recent SDSR, that left the UK with fewer (in some cases none ) of the scarce capabilities mentioned above – carrier air, long range maritime air, airborne sensor, air refuelling and strategic transport capability. 22. Determining The UK’s Prime Vital Interest Having established that UK’s Interests’ are enabled by political, commercial, diplomatic and military instruments, the UK’s Prime ‘Vital Interest’ must be determined. However, these enablers must also be based on a clear sense of national direction which is centred around the Nations core values. Arguably these values are expressed through the will, aspirations and productivity of the people when exercising their democratic choices which empower the executive to govern and protect through funded social, health, security and defence policies. 23. Clearly these national core values and aspirations are interlinked – domestically and internationally – and, therefore, a ‘Grand Strategy’ must consider the inter-relationships that exist between the people, industry, body politic, diplomacy and national security. Underpinning this is UK’s involvement in international institutions that should provide the peaceful environment essential for prosperity through self determination and free trade. These latter conditions lay the ground for a nation to thrive domestically through manufacturing and trade conducted under the protection of strong security services and armed forces. 24. Therefore, as the UK has chosen to meet these social choices through a domestic social welfare system this must also be funded by borrowing and taxation. In this latter respect two of the largest providers of taxable income in the UK are the private finance and industrial sectors which rely for profitability upon unhindered domestic and global trade and the secure exchange of data. Hence this need for profitability [government income through taxation] dictates that UK’s prime ‘Vital Interest’ is secure lines of communication (trade routes) that ensure prosperity through unimpeded economic growth. 25. A Combined UK Resilience Response Existential threats have the capability to rapidly affect the nations ability to function, therefore, DS believes that UK national security would be enhanced by integrating intelligence, police, diplomatic, commercial and armed forces input to meet UK’s strategic aims. This multi-departmental approach suggests that a National framework, designed to offer a single point of focus, must take the lead in meeting international and domestic emergencies by pooling intelligence, expertise and resources as required. Whether this is achieved through the National Security Council or an established head quarters, is a matter for discussion – but it must be considered a matter of urgency. 26. The Armed Forces to Meet Vital UK Interests International relations supporting trade being the primary driver of UK Grand Strategy the British armed forces and the consequent diplomatic thrust must be Maritime and Intelligence focussed – army and RAF capability being rebalanced to support this doctrine. Protection of free world trade, UK trade routes, storage, manufacturing infrastructure, ports, air and cyberspace are the key security priorities that must underpin UK defence strategy. Correctly structured these rebalanced forces would form the core of a UK expeditionary capability able to deter aggressors, respond to overseas threats and provide resources for humanitarian operations that can operate either alone or as part of a coalition. However, the term ‘Maritime-Focussed’ does not infer RN dominance within the MoD but a doctrine that acknowledges the maritime realities of a Vital Interest focused defence policy. To this end the need for the army and RAF to embrace the doctrine of a strategic maritime policy is paramount but not and end in itself – essential ground and air components that provide non-maritime command and control, intelligence and combat capabilities to meet NSS assumptions must also be maintained. 27. However, the government’s post-SDSR 2010 plans – based around ‘Force 2020’ – are a future aspiration and it is not yet clear whether the funding to achieve this plan will be made available. In any event there is already a serious gap developing in UK maritime, air support and intelligence gathering capability. 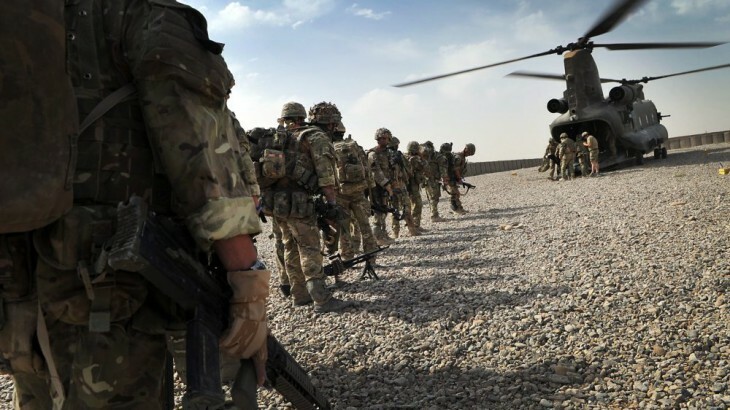 Whilst it is planned to reduce the Army in size to 82000 post- Afghanistan and the RAF will reduce to 33000, the RN is being reduced at the same time – to circa 30000 including 7000 Royal Marines. [The latter often being employed in lieu of army units.] Counterbalancing through the TA and reserve forces (30000 army, 3100 RN and 1800 RAF) seeming to favour an army-centric view in the DPA given that these changes to British force structure are being implemented without a clear national ‘Grand Strategy’ from which a cohesive ‘security doctrine’ can be formulated to guide and direct the planners. 28. DefenceSynergia concludes that Bernard Jenkin & George Grant are correct and that a UK Grand Strategy has not thus far been articulated by HMG. DS also supports Robert Kaplan in his thesis that future strategy for the Western powers (we say UK included) must be maritime centric. However, SDSR 2010 and the NSS have not fully articulated the overarching strategy required to meet these challenges. This in turn has placed government planners (not least alone the MOD) in the position of having to decide the scope of spending without a clear sense of direction or understanding of what constitutes Vital National Interest. An impossible position. Therefore, we strongly recommend that HMG revisits this crucial area, the lack of which prevents all departments of state from formulating cost-effective joined-up-government. This paper has set out some of the ingredients that should make up the UK Strategy document that will guide and ensure coherence for Financial, Defence & Security plans. This will be particularly useful to the National Security Council. The sooner that this work is concluded the more clarity the rest of Government will have.